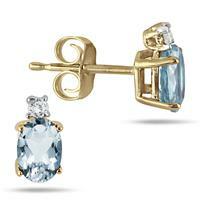 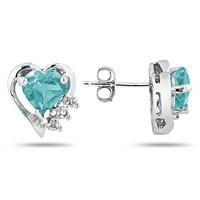 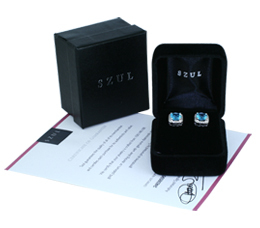 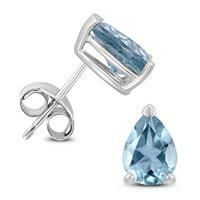 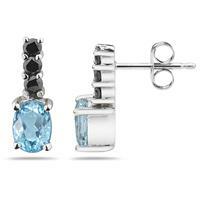 A beautiful pair of stud earrings featuring genuine prong set 4mm heart shaped Aquamarine gemstones. 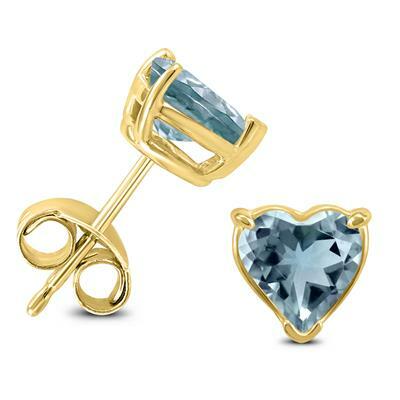 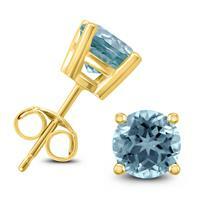 The gemstones are set in durable basket settings crafted in 14K yellow gold. 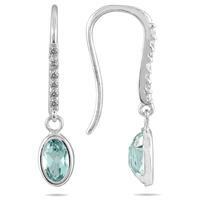 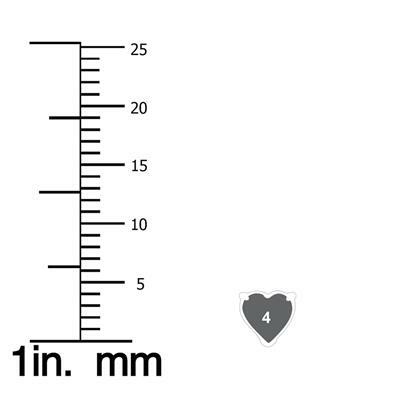 The earrings secure on posts with friction backs.